This article is about the chain of department stores. For its former parent company, see Sears Holdings. For its current parent company, see Transform Holdco LLC. For the defunct Canadian subsidiary, see Sears Canada. For other uses, see Sears (disambiguation). Sears, Roebuck and Company, colloquially known as Sears, is a chain of department stores founded by Richard Warren Sears and Alvah Curtis Roebuck in 1893, reincorporated (a formality for a history-making consumer sector initial public offering) by Richard Sears and new partner Julius Rosenwald in 1906. Formerly based at the Sears Tower in Chicago and currently headquartered in Hoffman Estates, Illinois, the operation began as a mail ordering catalog company and began opening retail locations in 1925. The first location was in Evansville, Indiana. In 2005, the company was bought by the management of the American big box chain Kmart, which formed Sears Holdings upon completion of the merger. Sears had the largest domestic revenue of any retailer in the United States until October 1989, when Walmart surpassed it. In 2018, Sears was the 31st-largest retailer in the United States. After several years of declining sales, its parent company filed for Chapter 11 bankruptcy on October 15, 2018. Sears announced on January 16, 2019 it had won its bankruptcy auction and would shrink and remain open with about 400 stores. In 1863, Richard Warren Sears was born in Stewartville, Minnesota to a wealthy family, which moved to nearby Spring Valley. In 1879, Sears' father died shortly after losing the family fortune in a speculative stock deal. Sears moved across the state to work as a railroad station agent in North Redwood, as well as in Minneapolis. While in North Redwood, a jeweler received an impressive shipment of watches which were unwanted. Sears purchased them, then sold them at a low price to the station agents and made a considerable profit. He started a mail-order watch business in Minneapolis in 1886, calling it "R.W. Sears Watch Company." Within the first year, he met Alvah C. Roebuck, a watch repairman. The next year Sears and Roebuck relocated the business to Chicago. In 1887, R.W. Sears Watch Company published Richard Sears' first mail-order catalog, offering watches, diamonds, and jewelry. In 1889 Sears sold his business for US$100,000 ($2.8 million today) and relocated to Iowa, intending to be a rural banker. Sears returned to Chicago in 1892 and established a new mail-order firm, again selling watches and jewelry, with Roebuck as his partner, operating as the A. C. Roebuck watch company. In 1893, they renamed the company to Sears, Roebuck & Company and began to diversify the product lines offered in their catalogs. Before the Sears catalog, farmers near small rural towns usually purchased supplies—often at high prices and on credit—from local general stores with narrow selections of goods. Prices were negotiated and relied on the storekeeper's estimate of a customer's creditworthiness. Sears took advantage of this by publishing catalogs offering customers a wider selection of products at clearly stated prices. By 1894, the Sears catalog had grown to 322 pages, including many new items such as sewing machines, bicycles, sporting goods, automobiles (later produced, from 1905 to 1915, by Lincoln Motor Car Works of Chicago, no relation to the current Ford line). By 1895, the company was producing a 532-page catalog. Sales were greater than $400,000 ($11.2 million today) in 1893 and more than $750,000 ($22.6 million today) two years later. By 1896, dolls, stoves, and groceries had been added to the catalog. Despite the strong and growing sales, the national Panic of 1893 led to a full-scale recession, causing a cash squeeze and large quantities of unsold merchandise by 1895. Roebuck decided to quit, returning later in a publicity role. 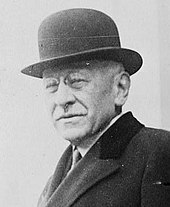 Sears offered Roebuck's half of the company to Chicago businessman Aaron Nusbaum, who in turn brought in his brother-in-law Julius Rosenwald, to whom Sears owed money. In August 1895, they bought Roebuck's half of the company for $75,000 ($2.3 million today). The company was reincorporated in Illinois with a capital stock of $150,000 ($4.5 million today) in August 1895. The 1895 transaction was handled by Albert Henry Loeb of Chicago law firm Loeb & Adler (now Arnstein & Lehr, LLP). Copies of the transaction documents are now displayed on the walls of the law firm. Sears and Rosenwald got along well with each other, but not with Nusbaum; they bought him out for $1.3 million in 1903 ($36.3 million today). Rosenwald brought to the mail-order firm a rational management philosophy and diversified product lines: dry goods, consumer durables, drugs, hardware, furniture, and nearly anything else a farm household could desire. Sales continued to grow rapidly, and the prosperity of the company and their vision for greater expansion led Sears and Rosenwald to take the company public in 1906, with a stock placement of $40 million ($1.1 billion today). They had to incorporate a new company in order to bring the operation public; Sears and Rosenwald established Sears, Roebuck and Company with the legal name Sears, Roebuck and Co., in the state of New York, which effectively replaced the original company. The current company inherits the history of the old company, celebrating the original 1892 incorporation, rather than the 1906 revision, as the start of the company. Sears' successful 1906 initial public offering (IPO) marks the first major retail IPO in American financial history and represented a coming of age, financially, of the consumer sector. The company traded under the ticker symbol S, and was a component of the Dow Jones Industrial Average from 1924 to 1999. 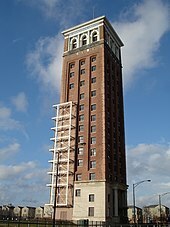 In 1906, Sears opened its catalog plant and the Sears Merchandise Building Tower in Chicago's West Side. The building was the anchor of what would become the massive 40-acre (16 ha) Sears, Roebuck and Company Complex of offices, laboratories and mail-order operations at Homan Avenue and Arthington Street. The complex served as corporate headquarters until 1973, when the Sears Tower was completed and served as the base of the mail-order catalog business until 1993. By 1907, under Rosenwald's leadership as Vice President and Treasurer, annual sales of the company climbed to roughly $50 million ($1.3 billion today). Sears resigned the presidency in 1908 due to declining health, with Rosenwald named president and chairman of the board and taking on full control. The company was badly hurt during 1919–21 as a severe depression hit the nation's farms after farmers had overexpanded their holdings. To bail out the company, Rosenwald pledged $21 million ($0.3 billion today) of his personal wealth in 1921. By 1922, Sears had regained financial stability. Rosenwald oversaw the design and construction of the firm's first department store, built on land within the Sears, Roebuck and Company Complex. The store opened in 1925. In 1924, Rosenwald resigned the presidency, but remained as chairman until his death in 1932; his goal was to devote more time to philanthropy. In 1933 Sears issued the first of its Christmas catalogs known as the "Sears Wishbook", a catalog featuring toys and gifts, separate from the annual Christmas Catalog. From 1908 to 1940, the catalog even included ready-to-assemble kit houses. The Sears catalog became known in the industry as "the Consumers' Bible". Novelists and story writers often portrayed the importance of the catalog in the emotional lives of rural folk. The catalog also entered the language, particularly of rural dwellers, as a euphemism for toilet paper, as its pages could be torn out and used as such. In addition, for many rural African-Americans, especially in areas dominated by Jim Crow racial segregation, the Sears Catalogue was a vital retail alternative to local white-population-dominated stores, bypassing the stores' frequent intention to deny them fair access to their merchandise. The mail-order market was based on rural America, with a slow-growing population and far less spending power than urban America. Rosenwald decided to shift emphasis to urban America and brought in Robert E. Wood to take charge. The first Sears retail stores were opened in conjunction with the company's mail-order offices, typically in working-class neighborhoods far from the main shopping center. Sears was a pioneer in creating department stores that catered to men as well as women, especially with lines of hardware and building materials. It de-emphasized the latest fashions in favor of practicality and durability, and allowed customers to select goods without the aid of a clerk. Its stores were oriented to motorists—set apart from existing business districts amid residential areas occupied by their target audience; had ample, free, off-street parking; and communicated a clear corporate identity. In the 1930s, the company designed fully air-conditioned, "windowless" stores whose layout was driven wholly by merchandising concerns. From the 1920s to the 1950s, Sears built many urban department stores in the US, Canada and Mexico (apart from, but not far from, existing central business districts), and they overshadowed the mail-order business. Starting in the 1950s, the company expanded into suburban markets and malls in the 1960s and 1970s. In 1959, it had formed the Homart Development Company for developing malls. Many of the company's stores have undergone major renovations or replacement since the 1980s. Sears began to diversify in the 1930s, creating Allstate Insurance Company in 1931 and placing Allstate representatives in its stores in 1934. Over the decades it established major national brands, such as Kenmore, Craftsman, DieHard, Silvertone, Supertone, and Toughskins. The company became a conglomerate during the mid-20th century, adding Dean Witter and Coldwell Banker real estate in 1981, starting Prodigy as a joint venture with IBM in 1984, and introducing the Discover credit card in 1985. In 1974, Sears completed the 110-story Sears Tower in Chicago, which became the world's tallest building, a title it took from the former World Trade Center towers in New York. Sears moved to the new Prairie Stone Business Park in Hoffman Estates, Illinois, between 1993 and 1995. The Sears Centre is a 10,001-seat multi-purpose arena located in Hoffman Estates adjacent to the Prairie Stone campus. Sears reached its pinnacle in 1972-4. Then it became challenged by other retailers such as Home Depot, Best Buy, and Walmart. Sears was ultimately unable to meet these external, and sometimes, internal challenges. At this time, the first credit card a new consumer would get, was a Sears credit card. In the 1990s a series of pricing scandals were revealed. California successfully sued the company in 1992 for falsely finding things wrong with automobiles in for repair for other reasons. In 1997, criminal charges were made. There was a lot of diversification which was needed, but it distracted management's attention from competition. Management, at first, discounted the threat from Walmart and Best Buy because of lower quality and lack of dedicated salespersons for appliances. However, appliances turned over slowly and contributed weakly to net profit. As it turned out, Walmart reset prices for the country. Even though its naming rights to the building expired in 2003 it remained the Sears Tower until early 2009. In March 2009 London-based insurer Willis Group Holdings, Ltd., was given the building's naming rights to encourage them to occupy the building. The official renaming as the Willis Tower took place on Thursday, July 16, 2009, during a public ceremony hosted by Willis Group Holdings. In the 1990s, the company began divesting itself of many non-retail entities, which were detrimental to the company's bottom line. Sears spun off its financial services arm which included brokerage business Dean Witter Reynolds and Discover Card. It sold its mall building subsidiary Homart to General Growth Properties in 1995. Sears later acquired hardware chain Orchard Supply Hardware in 1996 and started home improvement store The Great Indoors in 1997. The cost of distributing the once highly influential general merchandise catalog became prohibitive; sales and profits had declined. The company discontinued the catalog in 1993. It dismissed 50,000 workers which filled the orders. This was before the internet became an effective tool. With the advantage of hindsight, the timing was poor; Sears already had in place what it took Amazon years to achieve. Sears eventually held sales on all items. The dedicated customer would just wait until the item was on sale to buy. In the meantime, the item took up valuable floor space. This was a marketing policy misjudgment. In 1997 Sears sold 85% of its Mexico affiliate to Grupo Carso. Sears Holdings continues to produce specialty catalogs and reintroduced a smaller version of the Holiday Wish Book in 2007. In 2003, Sears sold its U.S. retail credit card operation to Citibank. The remaining card operations for Sears Canada were sold to JPMorgan Chase in August 2005. 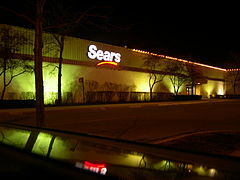 In 2003, Sears opened a new concept store called Sears Grand. Sears Grand stores carry everything that a regular Sears carries, and more. Sears Grand stores are about 175,000 to 225,000 square feet (16,300 to 20,900 m2). On November 17, 2004, Kmart Holdings Corporation announced it was going to acquire Sears Roebuck & Co. for $11 billion after Kmart completed its bankruptcy (USA Today Nov. 17, 2004). As a part of the acquisition, Kmart Holding Corporation along with Sears Roebuck & Co. was transformed into the new Sears Holdings Corporation. The new company started trading on the NASDAQ stock exchange as SHLD, Sears sold its single-letter ticker symbol 'S' in the New York Stock Exchange it had held since 1910 to Sprint Corporation. The new corporation announced that it would continue to operate stores under both the Sears and Kmart brands. In 2005, the company began renovating some Kmart stores and converting them to the Sears Essentials format, only to change them later to Sears Grands. The combined company's profits peaked at $1.5 billion in 2006. By 2010 the company was no longer profitable; from 2011 to 2016 the company lost $10.4 billion. In 2014 its total debt ($4.2 billion at the end of January 2017) exceeded its market capitalisation ($974.1 million as of March 21). Sears spent much of 2014 and 2015 selling off portions of its balance sheet; namely Lands' End and its stake in Sears Canada, one of the biggest e-commerce players in Canada, with C$505 million in sales in 2015—more than Walmart and others who had begun pushing aggressively into online sales, such as Canadian Tire. Sears stated that the company was looking to focus on becoming a more tech-driven retailer. Sears' CEO and top shareholder said the sell-off of key assets in the last year had given the retailer the money it needs to speed up its transformation. Sears Holdings had lost a total of US$7 billion in the four years to 2015. In part, the retailer was trying to curb losses by using a loyalty program called Shop Your Way. Sears believed the membership scheme would enhance repeat business and customer loyalty in the long term. Seritage Growth Properties is a real estate investment trust that was create and spun-off by Sears Holdings to act as owner of the spun-off 235 Sears and Kmart properties that were transferred to Seritage. In September 2016, Sears Holdings terminated 17 Kmart store leases and paid Seritage a termination fee. Lampert is also chairman and largest shareholder in Seritage. In October 2016, Moody's Investor Services downgraded Sears to speculative grade liquidity rating, and predicted that Sears was expected to have to rely on external financing and monetization of its alternative assets, according to Moody's VP Christina Boni. In late 2016 and early 2017, some significant steps were taken by Edward Lampert, president, chief executive officer and top shareholder of Sears Holding Corp. Lampert, with personal assets estimated at US$2 billion, is also the founder and manager of the hedge fund ESL Investments Inc. He provided an additional loan of US$500 million to the company and said he would provide letters of credit to Sears for additional amounts, reportedly totaling US$200 million and possibly increasing to a half billion dollars in the future. Lampert also concluded an arrangement that sold the Craftsman brand to Stanley Black & Decker Inc. for approximately US$900 million. During this period, the company also announced that it would close 150 stores (109 Kmart and 41 Sears outlets), in an attempt to cut its losses after a decline in sales of 12 to 13 percent during the holiday shopping season and the largest quarterly loss since 2013. Matt McGinley, an analyst at Evercore ISI, stated, "In the long run, the cash isn't likely to change the company's course. ... I don't think there is any viable path to any sort of profitability." In February 2017, Sears announced a restructuring plan that it hoped would cut costs by US$1 billion, via selling more stores, cutting jobs and selling brands. During the second quarter of 2017, 42 Sears stores in 40 states closed. Sears later announced that it closed an additional 12 stores. In May 2017, Sears announced it would close 20 stores, including the last Sears store in Rhode Island, at Rhode Island Mall in Warwick. In July 2017, Sears announced it would close another 43 stores (8 Sears and 35 Kmart stores). Store closing sale at the Sears in the Dover Mall in Dover, Delaware in May 2018. The store closed in August 2018. A Sears store located at Hanes Mall in Winston-Salem, North Carolina that has been permanently closed. Sears declined from more than 3,500 physical stores to 695 US stores from 2010 to 2017. Sales at Sears stores dropped 10.3 percent in the final quarter of 2016 when compared to the same period in 2015. 103 stores, including 39 Sears, in January. 63 stores, including 48 Sears, in May, including the last Sears store in Montana, in Billings, the last Sears store in North Dakota, in Grand Forks, and the last Sears store in South Dakota, in Sioux Falls. 15 stores, including 6 Sears, in July. 46 stores, including 33 Sears, in August, with the last Utah store, in West Jordan, which was downsized from the first and largest Sears Grand in 2017. 142 stores, including 79 Sears in October, with the last Wyoming store, in Casper. 40 stores, including 29 Sears in November, with the last Idaho store, in Idaho Falls, and the last Mississippi stores, in Mediran and Tupelo. 80 stores, including 43 Sears, in December, all set to close by March 2019. The company also auctioned some real estate, including the buildings of several operating stores, online. In May 2018 Sears announced it had formed a "special committee" to explore the sale of Kenmore. In August 2018, Lampert's ESL Investments Inc submitted a bid of US$400 million for the brand. As of October 14, 2018, with Sears filing for chapter 11 bankruptcy protection, leaving the future of both the Kenmore and DieHard brands undecided, it has been rumored online and elsewhere that Whirlpool Corporation could emerge as a possible top potential buyer for the Kenmore brand since they were the top major manufacturer of Kenmore appliances for well over a century. On September 24, 2018, the retailer's CEO warned that the company was "running out of time" to salvage its business. Sears Holdings filed for Chapter 11 bankruptcy on October 15, 2018, ahead of a $134 million debt payment due that day. Liquidation sales at 142 stores, including 79 Sears locations, including the last Sears store in Wyoming, at Eastridge Mall in Casper, would begin later in the month, with 46 stores to be closed by November. 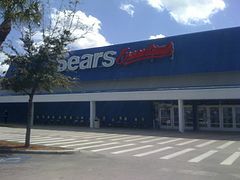 On November 8, 2018, Sears Holdings announced it would close an additional 40 stores, including 29 Sears stores, including the last Sears store in Idaho, at Grand Teton Mall in Idaho Falls, and the last two Sears stores in Mississippi, at Bonita Lakes Mall in Meridian, and at the Mall at Barnes Crossing in Tupelo. On November 23, 2018, Sears Holdings released a list of 505 stores, including 266 Sears stores, that are for sale in the bankruptcy process while all others are currently holding liquidation sales. On January 16, 2019, Sears Holdings announced it would remain open after Lampert won a bankruptcy auction for the company with an offer to keep about 400 stores open.. On February 7, 2019 a bankruptcy judge approved a $5.2 billion plan by Sears’ chairman and biggest shareholder to keep the iconic business going. The approval means roughly 425 stores and 45,000 jobs will be preserved. A typical full Sears in the Crystal Mall in Waterford, Connecticut in October 2017. This store closed at the end of 2018 as part of a plan to close 142 Kmart and Sears locations. 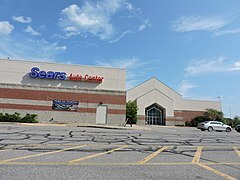 Sears Grand stores are typically located away from shopping malls (with the exception of Gurnee Mills, Gurnee, Illinois, which closed in September 2018, and formerly Pittsburgh Mills, Tarentum, Pennsylvania, which closed in January 2015). Many Sears Grand locations were retrofit remodels of existing Kmart stores after the merger. They carry everything a Sears department store carries, plus health and beauty products, a pharmacy (in former Kmart locations), toys, baby care, cleaning supplies, home décor, pet food, cards and party supplies, books, magazines, music, movies, and a selection of groceries which is limited mostly to dry goods. Sears Grand stores range from 165,000 to 210,000 square feet (15,300 to 19,500 m2). The first Sears Grand opened at Jordan Landing in West Jordan, Utah in 2003. At 225,000 square feet (20,900 m2), the Jordan Landing store was the largest in the chain until it was remodeled, downsized, and converted to a regular Sears in 2017 and closed in November 2018. Some other Sears Grands have downsized and converted to regular Sears locations. Sears PartsDirect is a chain of lawn & garden equipment and appliance parts stores. Some locations, branded as Sears Parts and Repair Centers, feature a carry-in point for customers to bring-in merchandise which needs to be repaired, either in or out of warranty. A&E Factory Service (Sears Home Services) is the newest name for Sears' longstanding on-site repair service, servicing larger items such as home appliances, electronics, and garden equipment. The A&E brand name was purchased from Montgomery Ward, which used it for their home service unit, and is a joint venture held by Whirlpool and Sears Holdings. A&E Factory Service is a network of mobile service vans with a long history of performing appliance repairs. Sears Travel is a licensed business partner of Sears Holdings, founded in February 2012 in conjunction with International Cruise & Excursions, Inc. Sears Vacations functions as an online travel agency that provides online and telephone-based booking services for Sears customers through the SearsVacations.com website. Sears Vacations offers cruises, resorts, hotels, tours, guided vacations, car rental, airline tickets, shore excursions, vacation rentals, and travel insurance. Sears Home & Life are a fraction of the size of Sears department stores and will sell "hardline" goods such as appliances, tools, mattresses and lawn and garden equipment. On April 4, 2019, Sears announced that it was opening three stores in May 2019. Sears Optical is a chain of off-mall optical shops which carries all the same products and services as the optical center at regular Sears stores. Sold to Luxottica. Sears Outlet is an outlet version of Sears department stores located in various retail locations across the United States. The stores carry new, one-of-a-kind, out of carton, discontinued, used, scratched and dented merchandise at 20–60% off regular retail price. While a wide variety of products are available, appliances make up a large majority of available merchandise. Sears Outlet stores were once known as Sears Surplus. Many former Kmarts have been converted to serve as Sears Outlets, though these often take up less than half the floorspace. Each store, on average, is larger than 18,000 square feet in size. Sears Outlet was part of a spin-off with Sears Hometown Stores and Sears Appliance and Hardware Stores to become Sears Hometown and Outlet Stores in September 2012. Sears Portrait Studio was a full service portrait studio with locations in Sears stores and formerly standalone locations as well. It was run by CPI Corporation until all Sears Portrait Studios ceased operations on April 6, 2013. CPI Corporation, in a statement on its website, said it closed all of its U.S. studios "after many years of providing family portrait photography." The St. Louis-based company didn't explain the hasty closure, and calls to CPI went unanswered. However, the company has struggled financially, hurt by the rise of digital photography. Sears Portrait Studio was later revived in August 2016 in a few in-store locations through an affiliation with Picture People; those locations would permanently close in early 2018. Sears Appliance Outlet is an appliance-only version of Sears Outlet. One exists at Arizona Mills in Tempe, Arizona; a second Sears Appliance Outlet at Great Mall of the Bay Area in Milpitas, California is now a regular Sears Outlet. Sears Fashion Outlet was a fashion-only version of Sears Outlet. One existed at Sugarloaf Mills in Lawrenceville, Georgia, that is now a regular Sears Outlet. A Sears Hardware in Windham, Connecticut which closed in May 2016. Its signage logo remains intact as of 2017. Sears Appliance & Hardware is a chain of hardware stores that carry the whole line of Sears hardware and are usually free-standing. At one point, there were more than 110 Sears Appliance & Hardware stores averaging 28,000 square feet (2,600 m2) serving customers nationwide; there are now 19 of them. Stores were expanded to include Sears' full line of appliances in 2005. Sears Hometown and Outlet Stores took on Sears Appliance & Hardware in a Spin-off from Sears Holdings in 2012. Sears Hometown Stores (formerly known as Sears Authorized Dealer Stores) was formerly part of the retail operation of Sears Holdings and is a small-store (averaging 8,500 square feet) version of Sears full-line department stores. Sears Hometown Stores, established in 1993, is a franchise formula. The stores are usually located away from shopping malls and serve local communities across the United States and Puerto Rico. Sears Hometown Stores was part of a spin-off with Sears Outlet and Sears Appliance and Hardware in September 2012. Sears Home Appliance Showrooms is a store that offers home appliances and related services in-store. The stores have an internet kiosk where customers are able to view similar products, price match, and order products not available in the store. primarily located in strip malls and centers of metropolitan areas. Averaging 5,000 square feet with a primarily appliance showroom design. These stores carry Kenmore and other national brands of home appliances. Lands' End, Sears officially spun off Lands' End in April 2014 amid Sears Holdings continuing financial distress, including a US$1.4 billion loss in 2013. Many Sears domestic full-line locations also include a Lands' End "store within a store" inside. Sears Holdings prior to the spin off, also operated Lands' End stores that exclusively carry Lands' End clothing and various fashion accessories, footwear and home goods. These stores which average 9,300 square feet are located separate from Sears department stores, usually in outlet malls and regular malls. Lands' End continues to sell various types of clothing for men, women and children as well as various fashion accessories, footwear and home goods both through its web site and an increasing number of stand alone stores. Sears Essentials was a chain of discount stores that were common retrofit remodels of existing Kmart stores. Their product lines were similar to that of Sears Grand stores. In 2006, Sears dropped the brand as it tried to turn Kmart stores into free standing Sears stores. Most of 50 buildings bearing its name were turned into Sears Grand Stores or reverted to Kmarts. National Tire and Battery (NTB) & National Tire Warehouse (NTW) is an American brand of auto service centers. It was formerly owned by Sears until it was spun off in 2003. Sears created the brand in 1997 by consolidating the Tire America (TA) and National Tire Warehouse (NTW) brands, adding the "B" to include its DieHard brand of batteries. Sears sold the brand, which consisted mostly of stores set apart from its name brand stores, in 2003 to TBC Corporation. A Sears spokesman said "Because of the separate branding and the lack of proximity to our retail operations, we weren't able to drive growth like a TBC could". The chain of 226 stores was reported to have brought in $425 million in revenue and $60 million in profit in 2002. Discover Card Introduced in 1986 as part of the Sears Financial Network, spun off in 1993. Sears Brand Central was an electronics store. The appliances departments in Sears are now known and referred to internally as Brand Central, although they are not marketed to consumers as such, except for a few locations in Puerto Rico. Sears Catalog Sales Stores were located in small towns. These stores were very small, even smaller than Sears' current Hometown Dealer stores. At catalog stores, some items could be ordered from the floor, such as appliances; other items could be ordered from catalogs at the store. These stores were often placed in rural markets which were far from full-line Sears stores, allowing for customers to purchase Sears products more easily. These stores were closed in 1993 when Sears closed its catalog business. Sears Authorized Catalog Sales Merchant was an independent business person who provided many of the same services as the Sears Catalog Sales Store. Similar operations were also found in Canada with Sears Canada as Sears Pickup Location or Sears Catalogue Sales Merchant. Sears Appliance Stores were small stores usually between 7,000 and 10,000 square feet. Sears Appliance Stores displayed and sold (at Retail Store prices) appliances, carpeting, etc. and, in addition, provided a catalog sales department through which catalog items could be ordered. Sears Holdings has opened a Sears Appliances store in Colorado in 2016 with plans to add more throughout the country. Sears Rent-a-Car was a car and truck rental chain formed in a mid-1970s joint venture with Budget. It was sold to Avis in 2002. Sears HomeLife was a chain of furniture stores owned by Sears. The concept was introduced at a mall in Fresno, California in 1989, followed by a stand-alone store in Madison, Wisconsin. Sears HomeLife averaged 20,000 to 40,000 square feet, featured dark ceilings, theatrical lighting and an expanded array of furniture and accessories. These stores are designed to be much larger than the typical in-store Sears furniture department, which averages around 7,800 square feet. Sears opened Homelife stores as stores-in-a-store to replace the existing furniture departments of their full-line Sears stores. Other Sears HomeLife stores were opened as free-standing locations. Sears sold the stores to Citicorp Venture in 1999, which changed the chain's name to "HomeLife". More locations opened, some inside large Sears stores or near the store depending on space available. HomeLife closed its last stores in 2001. In Puerto Rico, a few HomeLife locations are still operating. Sears Neighborhood was a chain similar to Sears Hometown stores, except that Neighborhood stores were located in urban markets. These stores were also independently owned and operated. The concept was introduced in Atlanta in 1998, and another similar store was located in Cincinnati. The Neighborhood stores closed in the early 2000s. The Great Indoors was a chain of free-standing home decor stores that carry high-end home appliances, bedding, and kitchen and bath fixtures. The Great Indoors also offered custom kitchen and bathroom design services. Stores were approximately 140,000 square feet each. Nearly 300 employees were hired for each store. While it was a success originally, it succumbed to the housing crash. 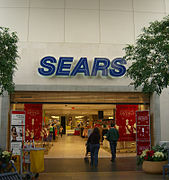 Sears Holdings announced the closing of all remaining stores in 2012. Orchard Supply Hardware was a chain of free-standing hardware stores, spun off by Sears in 2012. The retailer declared bankruptcy was sold to competitor Lowe's Home Improvement in June 2013, less than two years after it separated from Sears. On August 22, 2018, Lowe's announced it would cease operations of all Orchard Supply Hardware stores in early 2019. Sears World Trade, Inc. (Arms and Military Equipment) was Sears's troubled import-export unit that catered to the international arms trade chaired by Dep. Sec. of Defense, Frank Carlucci. It operated from 1982 to 1986. Sears admitted to the effort in December 1986, initially stating they "only gave advice in the defense contracting area." When the operation ended, the 300-strong worker division folded back into the merchandise procurement division. Canyon River Blues – Men's and women's clothing. A children's sub-brand called CRB Kids also exists. Covington – Men's and women's dresswear. Outdoor Life – More rugged men's and women's clothing. Simply Styled – Men's, women's, and children's clothing and shoes. Structure – Men's clothing and shoes. Originally owned by Express, Inc. before Sears bought it in 2003. Everlast – Through a license deal. Men's, women's, and children's athletic apparel and footwear. Smart Sense- Grocerys, Health , and household items. Alphaline – Brand of electronics accessories, cables and headphones. A video on-demand service powered by Roxio under the same name launched in 2010. Brand name abandoned as of 2015. Seventeen – Young women's clothing. Part of a license deal with the magazine of the same name in 2014. As of 2017, only items on sale are on clearance. The company sponsors, through the Sears Auto Centers, the Formula Drift Darren McNamara Sears/Falken Saturn Sky drift car. It sponsored the NASCAR Truck Series, using the Craftsman brand as the title sponsor, from the series' inception in the 1995 NASCAR SuperTruck Series presented by Craftsman to the 2008 season, when the agreement ended. Craftsman tools remain the official tools of NASCAR. The company sponsored the television series Extreme Makeover: Home Edition. It sponsors and currently has naming rights to the Sears Centre, an 11,000-seat multi-purpose family entertainment, cultural and sports center, constructed in 2006 in Hoffman Estates. The company also underwrote the PBS television series Mister Rogers' Neighborhood, under the name The Sears-Roebuck Foundation from the show's premiere in 1968 until 1992. It sponsored the #10 Gillett Evernham Motorsports car of Scott Riggs for the September 2, 2007, running of the Sharp AQUOS 500 at California Speedway through its Sears Auto Center branch. However, Riggs failed to qualify for the event. In 2016, Craftsman became the title sponsor of the World Racing Group, World of Outlaws Sprint car racing series. Sears building in the Edificio La Nacional building in Mexico City, across from the Palacio de Bellas Artes. Sears has struggled with employee relations. One notable example was the shift in 1992 from an hourly wage based on longevity to a base wage (usually between US$3.50 and US$6 per hour) and commissions ranging from 0.5% to 11%. Sears claimed the new base wage, often constituting a substantial (up to 40%) cut in pay, was done "to be successful in this highly competitive environment". In early October 2007, Sears cut commission rates for employees in select departments to anywhere from 0.5% to 4% but equalized the base wage across all Home Improvement and Electronics departments. In 2011, commission rates on non-base items were cut by 2% in the electronics department. In late 2009, the commission on sales of "base items" from the electronic department was cut to 1%. As of 2017, appliances is the only remaining department where compensation is based entirely on commission. Other departments give a base pay plus commission. In many stores, jewelry department associates receive a low base salary with 1% commission on their sales. In March 2019 Sears claimed that it was ending life insurance benefits for an undisclosed number of its 90,000 retirees. A few months earlier the company handed out over $25 million in bonuses to executives. Exterior of the Sears at the Westfield Hawthorn in Vernon Hills, Illinois. This location closed August 2018. Mall entrance to the former Sears at Paramus Park in Paramus, New Jersey. 2013 photo of the mall entrance to the Sears Grand at Pittsburgh Mills in Tarentum, Pennsylvania. This Sears closed in January 2015. Exterior of the Sears in Mexico City. ^ a b Sears Holdings Corporation (2016). 2016 Form 10-K, Sears Holding Corporation (pdf) (Report). United States Securities and Exchange Commission. p. 41. Retrieved November 4, 2017. ^ "1990 Sales Lift Wal-mart Into Top Spot". Sun Sentinel. February 15, 1991. Retrieved January 15, 2014. ^ "2017 Top 100 Retailers". STORES.org. Retrieved November 4, 2017. ^ Michael Corkery (October 14, 2018). "Sears, the Original Everything Store, Files for Bankruptcy". The New York Times. ^ a b Kapner, Suzanne; Rizzo, Lillian (January 16, 2019). "Sears to Stay Open, After Edward Lampert Prevails in Bankruptcy Auction". Wall Street Journal. ISSN 0099-9660. Retrieved January 16, 2019. ^ a b Richard Sears, Spring Valley Methodist Church Museum, Accessed January 17, 2011. ^ "Richard W. Sears - American merchant". britannica.com. ^ Clymer, Floyd. Treasury of Early American Automobiles, 1877–1925. (New York: Bonanza, 1950), p.90. ^ "Sears History - 1890s." Sears. Last updated September 27, 2004. ^ Arnstein & Lehr, The First 120 Years (2013). ^ Book: Historic Sears, Roebuck and Co. Catalog Plant ISBN 0-7385-3977-5, opening date. ^ Peter M. Ascoli, Julius Rosenwald: The Man Who Built Sears, Roebuck and Advanced the Cause of Black Education in the American South, (2006). ^ "Sears mail order homes". Retrieved November 30, 2011. ^ Passikoff, Robert. "A Love Song To Mr. Sears & Mr. Roebuck, Who Could Use One About Now". Forbes. Retrieved November 28, 2018. ^ Rodriguez, Linda (July 8, 2009). "Why toilet paper belongs to America". CNN.com. Retrieved August 29, 2010. ^ Farzan, Antonia Noori. "How Sears mail-order catalogs undermined Jim Crow racism". Chicago Tribune. Washington Post. Retrieved October 19, 2018. ^  Prairie Stone Transportation site. ^ "Sears Centre Arena". The Village of Hoffman Estates. Archived from the original on February 12, 2007. Retrieved February 7, 2007. Prairie Stone Business Park, Current Sears headquarters location and Sears Centre. ^ a b c d e f g Suzanne Kapner (March 15, 2019). "How Sears lost the American shopper". Wall Street Journal. Retrieved March 24, 2019. ^ DENISE GELLENE (September 3, 1992). "Sears to Repair Image With $46 Million in Coupons : Retailing: It may be the largest such consumer fraud settlement ever. California auto centers will be on probation for 3 years". Los Angeles Times. Retrieved January 16, 2019. ^ John McCormick (February 2, 1999). "The Sorry Side Of Sears". Newsweek. Retrieved January 16, 2019. ^ Mikolajczyk, Sigmund J. "SEARS SLAPPED WITH TIRE SERVICE FRAUD SUIT". Tire Business. Retrieved January 16, 2019. ^ Conlon, Michael (March 12, 2009). "Tallest U.S. building to get new name". Reuters. Retrieved July 17, 2009. ^ Jim Zarroli (April 19, 2009). "Retail Real Estate Braces For Sell-Off". National Public Radio. ^ Sorkin, Andrew Ross (July 16, 2003). "Sears to Sell Card Portfolio To Citigroup For $3 Billion". The New York Times. Retrieved January 22, 2017. ^ "JPMorgan to buy credit card unit of Sears Canada". Chicago Tribune. September 1, 2005. ^ "S stands for Sears, but not much longer". Chicago Tribune. February 2, 2005. Retrieved November 9, 2017. ^ "Sears ditches Sears Essentials name". Chicagobusiness.com. February 22, 2006. Retrieved July 17, 2009. ^ "Who Killed Sears? 50 Years on the Road to Ruin". Investopedia. November 3, 2017. Retrieved November 4, 2017. ^ a b c d "Sears Holdings". Retrieved June 4, 2015. ^ LaFon, Holly (December 10, 2015). "Buffett Buys 8% Stake In Sears Spin-Off Seritage Growth Properties". Forbes. ^ a b Gustafson, Krystina (January 4, 2017). "Sears closing more stores as game of financial Jenga continues". CNBC. ^ Corkery, Michael (August 28, 2018). "As Sears Withers, Its Former Stores Fuel a New Fortune". New York Times. ^ "#309 Edward Lampert". Forbes. January 22, 2017. Retrieved January 22, 2017. ...took over as Sears CEO in 2013 ... has presided over a remarkable dismantling. ^ Sweeney, Brigid (January 5, 2017). "With Craftsman sale, Sears takes another step toward the grave". Chicago Business. Crain Communication, Inc. Retrieved January 9, 2017. The company may need $2.5 billion in cash to get through 2017 amid sales declines and store closures, including almost $600 million in minimum pension contributions. ^ Lauren Coleman-Lochner and Brendan Coffey, Bloomberg (January 9, 2016). "Lampert's rescue of Sears puts him on the hook for $1.2 billion". Toronto Star. Toronto, Canada. Retrieved January 9, 2016. ^ Coleman-Lochner, Lauren (January 5, 2017). "Sears to Sell Craftsman, Shut 150 Stores as Lampert Raises Cash". Bloomberg. Bloomberg L.P. Retrieved January 9, 2017. Investors cheered the moves, sending Sears up as much as 8 percent to $11.19 in New York. The stock had slumped 55 percent last year as the company continued to post losses. ^ "Is your local Sears or Kmart among 150 stores to be axed? See the list". USA Today. January 5, 2017. Retrieved March 22, 2017. ^ "20 more Sears stores closing: see the list". USA TODAY. Retrieved January 16, 2019. ^ Naidu, Richa (July 7, 2017). "Sears to close 43 more stores to cut costs". Reuters. Retrieved July 9, 2017. ^ "Sears Holdings Fourth Quarter 2016 Earnings Release" (PDF). Sears Holdings. Retrieved March 9, 2017. ^ Zumbach, Lauren (March 27, 2017). "Sears CEO Lampert takes bigger stake in ailing chain, shares jump". Chicago Tribune. Retrieved March 28, 2017. ^ Stych, Ed (October 25, 2017). "Sears splits with Whirlpool appliances, splintering 101-year relationship". Dayton Business Journal. Retrieved January 5, 2018. ^ Thomas, Lauren (November 3, 2017). "Sears is closing 63 more stores". www.cnbc.com. Retrieved January 16, 2019. ^ Morris, David Z. (December 31, 2017). "Sears and Kmart Didn't Run TV Ads During the Peak Holiday Shopping Season". Fortune. ^ Thomas, Lauren (January 4, 2018). "Sears is closing over 100 more stores". www.cnbc.com. Retrieved January 16, 2019. ^ Isidore, Chris (May 31, 2018). "Sears is closing 63 more stores". CNNMoney. Retrieved January 16, 2019. ^ "Sears adds more stores to closings list; 78 set to close in September". USA TODAY. Retrieved January 16, 2019. ^ Thomas, Lauren (August 23, 2018). "Sears is closing 46 more stores — here's where they are". www.cnbc.com. Retrieved January 16, 2019. ^ Thomas, Lauren (December 28, 2018). "Sears closing 80 more stores in March as it faces possible liquidation". www.cnbc.com. Retrieved December 29, 2018. ^ Thomas, Lauren (April 11, 2018). "16 Sears stores are being auctioned online". cnbc.com. ^ Isidore, Chris. "Sears moves to sell Kenmore". CNNMoney. Retrieved August 22, 2018. ^ DiNapoli, Jessica. "RPT-FOCUS-In Kenmore sale, Sears' pension liabilities come back to..." U.S. Retrieved August 22, 2018. ^ Sputnik. "US Retail Giant Sears Files for Bankruptcy, Blames E-Commerce for Failings". sputniknews.com. Retrieved October 16, 2018. ^ Hirsch, Lauren Thomas, Lauren (November 8, 2018). "Sears to shut 40 more stores early next year". CNBC. Retrieved November 8, 2018. ^ Researcher, WYCO (November 23, 2018). "List Of Sears Stores To Be Sold And Other Bankruptcy Developments". Seeking Alpha. Retrieved November 24, 2018. ^ "Sears gets to stay in business: Bankruptcy judge OKs Eddie Lampert's plan". Los Angeles Times. February 2018. Retrieved February 7, 2018. ^ "Sears opening stores for a change". Retail Dive. Retrieved April 4, 2019. ^ "Profile: Sears Holdings Corp". Retrieved June 2, 2017. ^ "Sears Holdings Reports Second Quarter 2018 Results - Sears Holdings Corporation". searsholdings.com. Retrieved January 16, 2019. ^ "Document". www.sec.gov. Retrieved January 16, 2019. ^ "Form 10-Q for the quarter ending July 29, 2017 – Sears Holdings Corporation". U.S. Securities and Exchange Commission. Retrieved November 4, 2017. ^ "Sears History". Searsmedia.com. Retrieved January 1, 2010. ^ "Sears Grand Fact Sheet". Searsmedia.com. Archived from the original on January 27, 2016. Retrieved January 4, 2018. ^ This Week in Consumer Electronics, Whirlpool Bears First Fruits Of Maytag Merger At Home Depot, September 10, 2006. ^ "Sears Vacations Homepage". searsvacations.com. Retrieved March 29, 2016. ^ Kapner, Suzanne (April 4, 2019). "Sears, After Years of Closures, Is Opening Stores Again". Wall Street Journal. Retrieved April 4, 2019. ^ "New Sears Outlet Store Opens in Queens Village". May 26, 2015. Retrieved June 3, 2015. ^ a b "Sears gets $446M from Hometown and Outlet spinoff". The Chicago Tribune. October 11, 2012. Retrieved October 26, 2014. ^ Shropshire, Corilyn (April 10, 2013). "In a flash, portrait studio company closes 2,000-plus U.S. outlets". Chicago Tribune. Retrieved May 5, 2018. ^ "Sears bids Hometown, Outlet, hardware stores goodbye in spinoff". Los Angeles Times. August 13, 2012. Retrieved October 26, 2014. ^ "Sears celebrates new name". The Emporia Gazette. March 16, 2009. Archived from the original on July 31, 2012. Retrieved November 25, 2009. ^ "Sears Completes Lands' End Spinoff". Forbes. April 7, 2014. Retrieved October 21, 2014. ^ "Profile: Lands' End Inc". ^ "Lands' End | About Us". www.landsend.com. Retrieved October 15, 2018. ^ "Lands' End Opens First Standalone Store in New Jersey | Lands' End, Inc". Lands' End, Inc. Retrieved October 15, 2018. ^ "Sears ditches Sears Essentials name". February 22, 2006. Retrieved October 21, 2014. ^ Lauren Zumbach (May 11, 2016). "Sears planning smaller-format appliance stores". Chicago Tribune. ^ "A surprisingly new style for Sears: Homelife, Sears' new power furniture format,was unlike anything seen before at the nation's largest retailer". Findarticles.com. 1989. Archived from the original on July 8, 2005. Retrieved July 17, 2009. ^ Wilma Randle and Sharon Stangenes (March 18, 1990). "Sears Rearranges Furniture With Homelife". The New York Times. Retrieved June 20, 2017. ^ "HomeLife Furniture closes its doors". Bizjournals.com. July 11, 2001. Retrieved July 17, 2009. ^ Schenke, Jarred (September 15, 2000). "Sears eyeing South DeKalb as site for new urban store". Atlanta.bizjournals.com. Retrieved July 17, 2009. ^ "Sears to open urban store". Enquirer.com. Retrieved July 17, 2009. ^ Sears Holdings (October 4, 2000). "California Ready to Discover The Great Indoors" (Press release). Retrieved January 3, 2018. ^ Said, Carolyn (January 4, 2012). "Orchard Supply on its own again". San Francisco Chronicle. Retrieved July 20, 2012. ^ "Orchard Supply files for bankruptcy, Lowe's steps in". June 17, 2013. Retrieved January 16, 2019 – via www.reuters.com. ^ Koren, James Rufus. "Lowe's closing Orchard Supply Hardware chain it acquired out of bankruptcy". latimes.com. Retrieved January 16, 2019. ^ Day, Kathleen (October 29, 1986). "Sears to Close its Ailing World Trade Division". Washington Post. ^ Mayer, Caroline (December 11, 1986). "Carlucci Supervised Arms Advisers at Sears". Washington Post. ^ "COLORMATE Trademark Information". LegalForce, Inc. August 3, 2017. Retrieved October 15, 2017. ^ "COVINGTON Trademark Information". LegalForce, Inc. December 14, 2013. Retrieved October 15, 2017. ^ "LAURA SCOTT Trademark Information". LegalForce, Inc. September 11, 2012. Retrieved October 15, 2017. ^ "NORTHWEST TERRITORY Trademark Information". LegalForce, Inc. February 9, 2016. Retrieved October 15, 2017. ^ "Roebucks: 1949–present". Searsarchives.com. October 31, 2006. Retrieved July 17, 2009. ^ "SIMPLY EMMA Trademark Information". LegalForce, Inc. October 4, 2017. Retrieved October 15, 2017. ^ "SIMPLY STYLED Trademark Information". LegalForce, Inc. December 20, 2016. Retrieved October 15, 2017. ^ "Sears Acquires Structure Brand from Limited Brands". Sears Holdings. September 15, 2003. Retrieved November 5, 2017. ^ "STRUCTURE Trademark Information". LegalForce, Inc. February 19, 2015. Retrieved October 15, 2017. ^ "ATHLETECH Trademark Information". LegalForce, Inc. June 9, 2017. Retrieved October 15, 2017. ^ "DieHard: 1967–present". Searsarchives.com. October 31, 2006. Retrieved July 17, 2009. ^ "Sears Holdings signs licensing deal with Everlast". Chain Store Age. December 12, 2010. Retrieved October 15, 2017. ^ "Toughskins: 1971–present". Searsarchives.com. October 31, 2006. Retrieved July 17, 2009. ^ "Allstate: 1926–1995 (Sears' divestment)". Searsarchives.com. October 31, 2006. Retrieved July 17, 2009. ^ "Sears, Kmart launch Alphaline Entertainment movie download service". Oath Tech Network AOL Tech. December 28, 2010. Retrieved October 15, 2017. ^ "ALPHALINE Trademark Information". LegalForce, Inc. February 2, 2015. Retrieved October 15, 2017. ^ "Cheryl Tiegs: 1981–1989". Searsarchives.com. October 31, 2006. Retrieved July 17, 2009. ^ "Coldspot: 1928-1976". Sears Archives. Sears Brands. Retrieved July 31, 2011. ^ "David Bradley: 1910–1966". Searsarchives.com. October 31, 2006. Retrieved July 17, 2009. ^ "Harmony House: 1940–1968". Searsarchives.com. October 31, 2006. Retrieved July 17, 2009. ^ "Hercules: 1908–1965". Searsarchives.com. October 31, 2006. Retrieved July 17, 2009. ^ "J.C. Higgins: 1908–1964". Searsarchives.com. October 31, 2006. Retrieved July 17, 2009. ^ "Pilgrim: 1905–1964". Searsarchives.com. October 31, 2006. Retrieved July 17, 2009. ^ "Seventeen Launches New Clothing Line with Sears". Hearst Corporation. August 26, 2014. Retrieved November 5, 2017. ^ "Silvertone: 1915–1972". Searsarchives.com. October 31, 2006. Retrieved July 17, 2009. ^ "Craftsman Dropping Sponsorship of NASCAR Truck Series". The Kansas City Star. December 4, 2007. ^ "World of Outlaws Craftsman Sprint Car Series - Sponsors". ^ Folley, Aris (March 30, 2019). "Sears cutting life insurance benefits for up to 90,000 retirees: report". The Hill. Retrieved April 3, 2019. Creswell, Julie (August 11, 2017). "The Incredible Shrinking Sears". The New York Times. ISSN 0362-4331. Israel, Fred L. 1897 Sears, Roebuck and Co Catalogue 100th Anniversary Edition, Philadelphia: Chelsea House Publishers, 1968. Wikimedia Commons has media related to Sears, Roebuck and Company.